Bite-sized tips and techniques for taking your game to the next level, whatever your age. Whether you're a novice or seasoned player, master skills for outwitting every kind of opponent with expert advice from England's elite coaches. Requires free web account. Log in now or sign up. 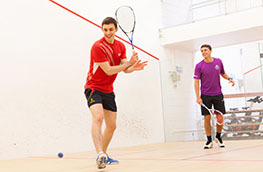 Exclusively for England Squash members only. Log in or sign up now.